Last night, in my dreams, I prayed to Ganesh to keep my children safe. The terrors hunting us were not gun-toting, in my dreams, but chased us with machetes, hacking away at families and ending love on the spot. But gun-toting terrors are no different. They are more common, though. They hack away at us, too, ending love and trust and joy on the spot. Ending lives that needed more time to become. Ending the belief that our children are safe at school. In a country supposedly built on freedom, we are shackled to killing tools. Murder machines chase us in classrooms and malls and movie theatres. Children kill children with the ease of anger and a little finger strength. And so, after hours of sleeplessness, my sleeping brain reaches out to a gentle Hindu god with the head of an elephant. 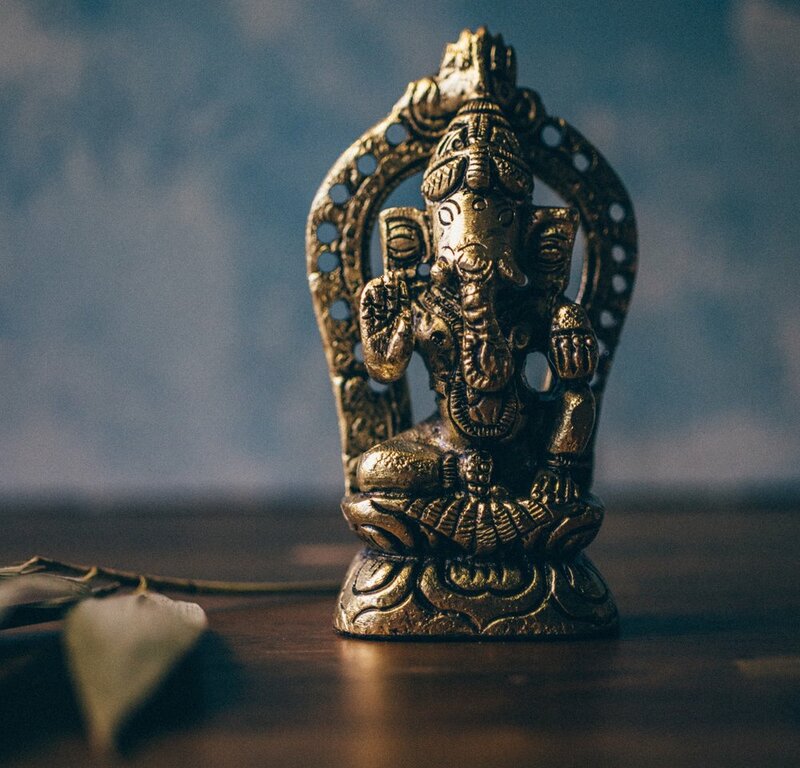 In my dreams, I pray—hesitantly at first, then loudly, desperately—to a remover of obstacles, a deity of learning, wisdom, and new beginnings. I pray and cry to a god who could help us if we had the bravery to start over instead of hide. To remove obstacles instead of placing them in front of my children, hoping they’ll work as well as Kevlar. In my dreams, the terrors chase us and I hear the screams of those who can’t get away in time. I see the blood. I grab my children and run. Too many children have lived what I have only had to dream. They cannot run. I am awake. Please Ganesh, keep my children safe.